You realize how illusory it seems when people in movies talk to the robots like they’re human. Although, not the same way, but Google is almost there to make you chat with a robot, although not one cased in tin. Google, recently in its annual I/O developer conference, has announced this revolutionary artificial intelligence technology called ‘Duplex’. The moment became glorious when the CEO, Sundar Pichai introduced Duplex to the crowd that later responded with a round of applause. The audience also shared laughter when the computer generated human voice used the terms like ‘mm … hmm’ and ‘ahhh’ (unlike Google Assistant), making the conversation impeccable and more humanlike. With the launch of Google Duplex, the long-awaited goal of interacting with machines like a natural conversation seems to be fulfilled. Although, there have been remarkable achievements in computer’s ability to understand and respond to a human voice with the implementation of deep neural networks like Google voice search and WaveNet. But, it still lacks when you have to interact with machines in a predefined computerized voice that fail to understand natural language. You can experience the struggle when you have to speak real slow and clear for the machine to understand and respond. How Google Duplex is different from Google Assistant? One of the most significant differences between Google Duplex and Assistant is the way it responds to your command. 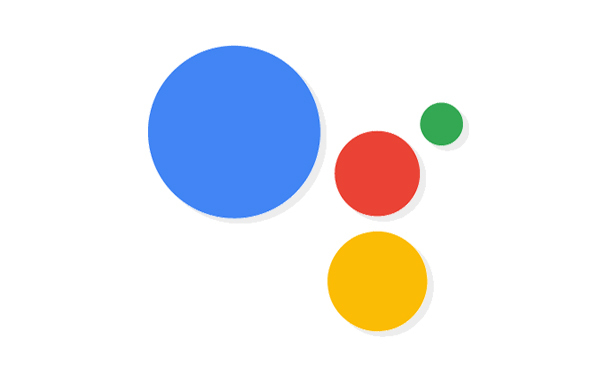 Where Duplex is designed in such a way that it sounds natural, Google Assistant, despite its worthiness, sounds like a machine and computerized. Google Duplex improves your conversational experience with computers with a voice that is familiar and comprehensible. Especially, the usage of terms like ‘hmm’ and ‘ahh’ makes it hard to point as a machine emitted voice. Ability to talk over the calls on your behalf. Another big difference between the two technologies is that Duplex is able to make calls and talk on your behalf to fulfill a user command. Whereas the Assistant can only help with the information available over internet or just make a call. For an instance, if you wish to book a table for two at a restaurant that does not support online reservations, Google Assistant may not be able to execute the task. However, Google Duplex would be able to fetch the no. from the internet and make a call. It would talk to the person at the other side in the most human way that no one can differentiate and will have your table booked without you being on the call. Isn’t the perfection at next level! Also Read: Say Hello To Google News App! Use of Recurrent Neural Network (RNN) and Automatic Voice Recognition (ASR). The success of Google Duplex’s natural sound is the advances in its four pillars i.e. understanding, interacting, speaking and timing. The recurrent neural network is at the core to handle these changes, which is developed using the TFX (TensorFlow Extended). To have it reached to success, the RNN of Duplex was trained on a mass of anonymized telephonic conversation data. This network also uses the ASR output, features from the audio, parameters of call and the conversation history and much more. To improve the model, Google Duplex used the hyperparameter optimization from TFX. Overall, Google Duplex is one of the finest form of artificial intelligence that overpowers the Google Assistant. According to Google, Duplex executes the tasks autonomously and without any human involvement, which is a huge success. For the purposes that can’t be done autonomously, its self-monitoring feature lets human know about the need to operate the task. When it comes to Google Duplex importance, it is beneficial for both businesses and users. All the organizations that rely on appointment base services, users can book it without being over the call themselves. Google’s New Digital Wellbeing Feature: Is it really New?